Last night the KIVU team was at a small country church in Claremont Florida. We try and visit places where we know people who support the ministry, and we go to spread the word, about what's happening out at our place in Durango. So we pulled in the driveway to this small Methodist church, and I was thinking, "I hope they like what we're doing." Here we are, spreading God's message of Love, and I'm concerned with whether or not they like us. Oh, one day I'll stop being so trite, I hope. Anyway, so we walked into the youth room, waiting to see card tables and felt boards, but to my surprise they have a legit deal going. The room was very teen friendly. I think 4 different times people welcomed me as someone new. And you can just sense the Spirit was moving there. After the program, we sat around and talked with the Youth Director and a few of the students. He was telling us about the local band competition they were sponsoring coming up. He told us about the skate shop the church is opening in a few weeks in partnership with a local skate company. He told us about the senior road trip, where he takes the students on a 20 day serving trip around the country. And he topped it all off with the mission work they do internationally. 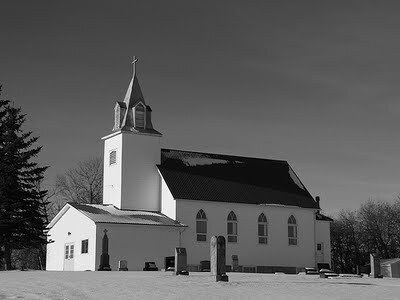 Here in this little small country church, sits a hero of youth ministry. He's doing it folks, and the kids adore him. My heart is encouraged this morning. What a night! The little tiny church, with the huge vision spoke to my soul!!! Next It’s the Family/Teenage Mission Trip of a Lifetime, Come Join US!! how often do we think it takes a big church in a big city to get work done for the Kingdom? What a great message of how all it takes if figuring out what God is doing, and getting on board. Why did Poland become a country where Church was such a big part of life?